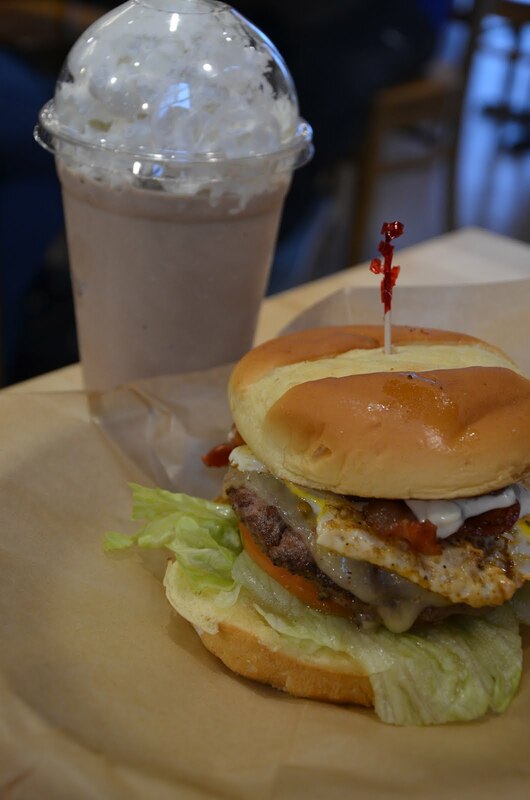 There are a lot of options out there when it comes to burgers. And if you go to Meatheads there are also a lot of options of what goes on top of your burger. Whatever your tastes, you'll find something you'll like. And if you're someone who stays in the safe zone of ketchup, mustard and lettuce, this is your chance to break free and pleasure your palette. There are a few signature sandwiches, like the Cajun Sunrise pictured here with a fried egg, bacon, pepper jack cheese, bleu cheese sauce, lettuce, tomato and fresh jalapeño. 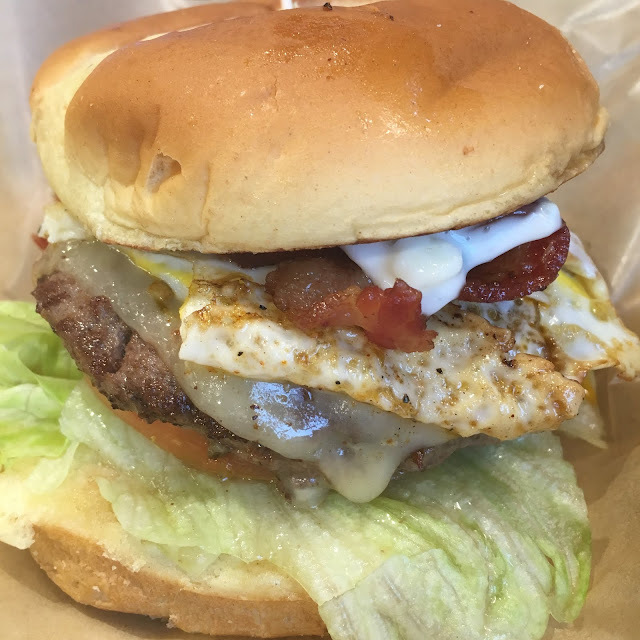 Five other chef-inspired burgers are on the menu, as well. But, you also have the option of creating your own from such ingredients as avocado, chili, sauerkraut, red pepper and giardiniera and a number of sauces. My favorite? Provolone cheese with applewood smoked bacon, avocado, cucumber wasabi sauce and mayo. 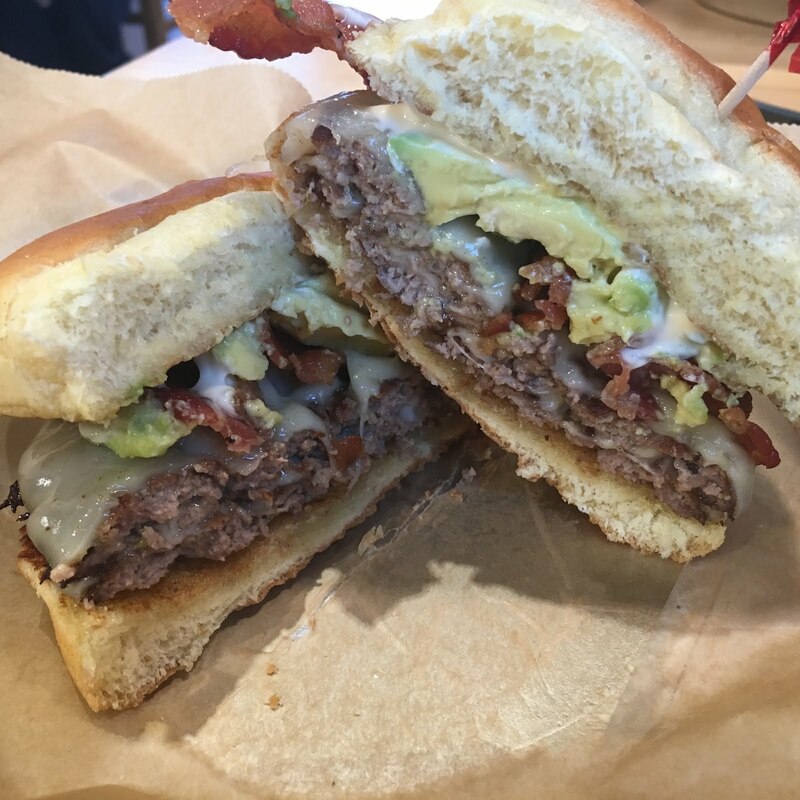 My favorite toppings on a Meatheads burger are provolone cheese, applewood smoked bacon, avocado, mayo and cucumber wasabi sauce. 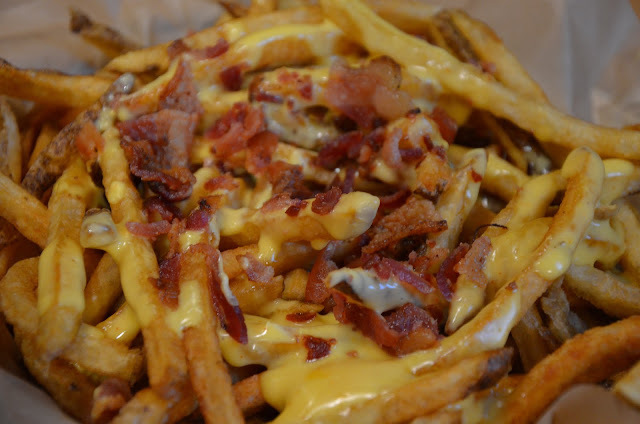 Don't forget the fries - which you can load with a number of toppings and sauces, as well. Go to meatheadsburgers.com for the full menu. I really need to try this place out!